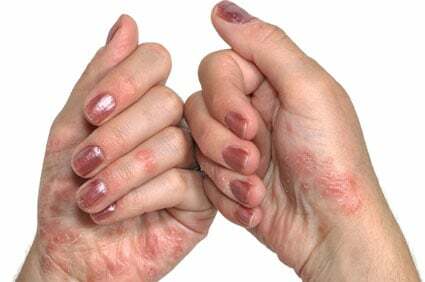 Watch this slideshow on psoriasis to see moderate to severe forms of this common skin condition. Learn about the different types (vulgaris, guttate, scalp, pustular, nails, etc.) as well as treatments. 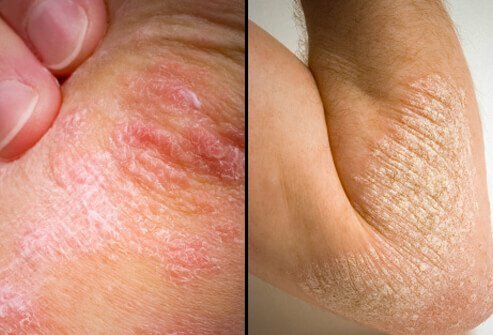 What kinds of treatments have been effective for your psoriasis? 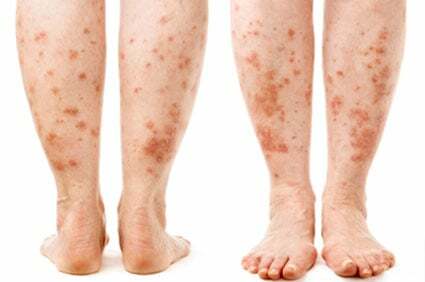 What symptoms and signs did you experience with psoriasis? Which creams or lotions (topical medications) have helped you treat scalp psoriasis? Do certain foods positively or negatively impact your psoriasis? Prior to IV drug infusion, it is important to drink plenty of water, wear comfortable, loose-fitting clothing, and bring a list of your medications. After the infusion, a dressing will be applied to the infusion site. Palmoplantar pustulosis, also referred to as pustular psoriasis of the palms of the hands. See a picture of Palmoplantar Pustulosis and learn more about the health topic. PUVA is an acronym. The P stands for psoralen, the U for ultra, the V for violet and the A for that portion of the solar spectrum between 290 and 320 nanometers in wavelength. PUVA was originally developed to treat psoriasis.